This blog post will try to explain and predict the best black hat SEO techniques for 2018. 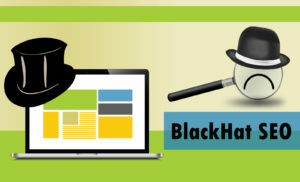 Black hat SEO refers to search optimization activities that do not necessarily meet Google guidelines and principles. We have come to know a large number of unconventional ways to improve ranking of web pages. The tools people use to influence search engine crawlers are ideal to achieve to achieve short-term objectives. When it comes to online marketing and search engine optimization, companies expect quick and profitable results that are hard to achieve through recommended practices. In order to generate quick results, marketers implement black hat strategy which works really well in some cases. However, there is a huge risk of getting penalized by search engines. To avoid this, SEO experts keep inventing novel techniques that work well for a considerable time period. 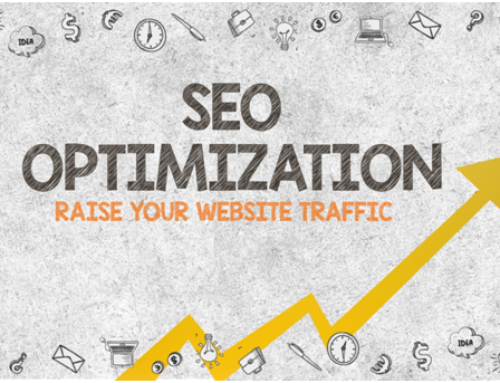 A good SEO expert always prepares a website for both visitors and search engines. The content we create for our website serves two purposes: First, it helps search engine bots understand what your web pages are all about or what products you offer that matches various search queries. Second, it helps users find their desired solution. Cloaking refers to a practice of creating two types of content; one targeted for human users and other for search engines. Bots and human visitors differ in terms of their style to locate something on the web. If executed in the right way, cloaking can turn out to be a quick solution to ranking site higher in the searches. To succeed, make sure you are using the right tools to get this done. The term private blog network indicates a set of blogs controlled by a single entity to generate artificial links. When you own and control a number of websites, all of them linking back to your site, you can have those sites link back to a single site to get extra SEO juice. Private blog network is an effective way of getting high-quality backlinks in large numbers without creating valuable content and running influenced marketing campaigns. Besides, It requires plenty of sensitive work: hosting, domain acquisition, intranet work link distribution, and content development. As an effective black hat SEO practice, PBN can escape Google’s algorithm and detection. This technique has been around for many years. It is absolutely important to add fresh content to a website in order to maintain its relevance and rankings. It is content that helps marketers achieve different search optimization goals. But, it takes efforts and resources to create valuable content which can generate solid results in the long run. It can be a daunting process to create good content on a regular basis. This is where content spinning comes to skip the hard work, you can use various content spinning tools that can turn a live piece of content into fresh, original content. This way you can avoid issues related to duplicate content. You can find a number of article spinning software that will do this stuff. Page swapping or bait-and-switch is also a black hat SEO technique for 2018. It requires to change a page which is already ranked and making it completely unique from previous version. SEO experts use this technique to first rank a site against a niche and then alter the niche. After you have done this, visitors, while searching by keywords associated with the previous content, will eventually land on your site. Unfortunately, they will not get what they are looking for but you can increase the traffic of your site. Search engines attach special value to inbound links and backlinks and consider them as ranking factors. More the sites link to your pages, the more authentic your content is. You can buy or exchange links to improve your SEO efforts. However, you have to keep this in mind that search engines can detect such activities and penalize your site. So, do it carefully. Doorway pages are used to secure better ranking in search engines for specific keywords. They are specific web pages, particularly designed and built to draw search engine visitors to your site. Basically, doorway pages are standalone pages which are made to act as “doorways” to your website. In other words, a doorway page is more like an advertisement for a website. Nowadays, many SEO firms are using doorway pages for achieving good ranking in search results. These pages can be quite useful for site owners in order to build a connection to the target page. Whatever black hat SEO methods you are planning to use in 2018, make sure you do it carefully.